The ubiquitous folding chairs seen at every outdoor concert and sporting event are functional, but not the most interesting seating option. 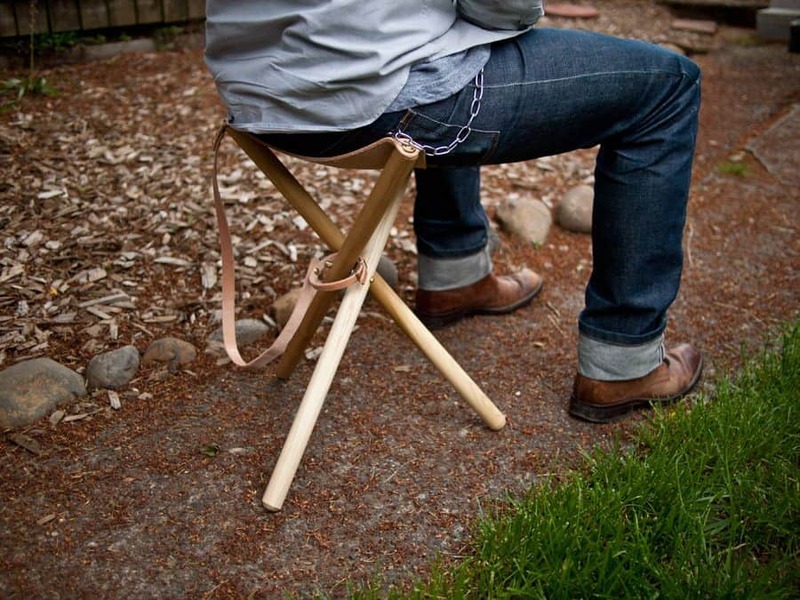 For $25 in supplies, you can make your own portable stool that works great anywhere and won’t get lost in the crowd. You’ll need three 1 1/8″ dowels that are cut to 24″, various steel and brass hardware, and a leather or heavy piece of canvas for the seat. The only tools required are a drill, screwdriver and socket wrench to tighten the nuts. For full instructions visit Wood & Faulk.